Bureau made their debut at this year’s Mass Appeal Show, much to the delight of #menswear enthusiast everywhere in Buffalo. 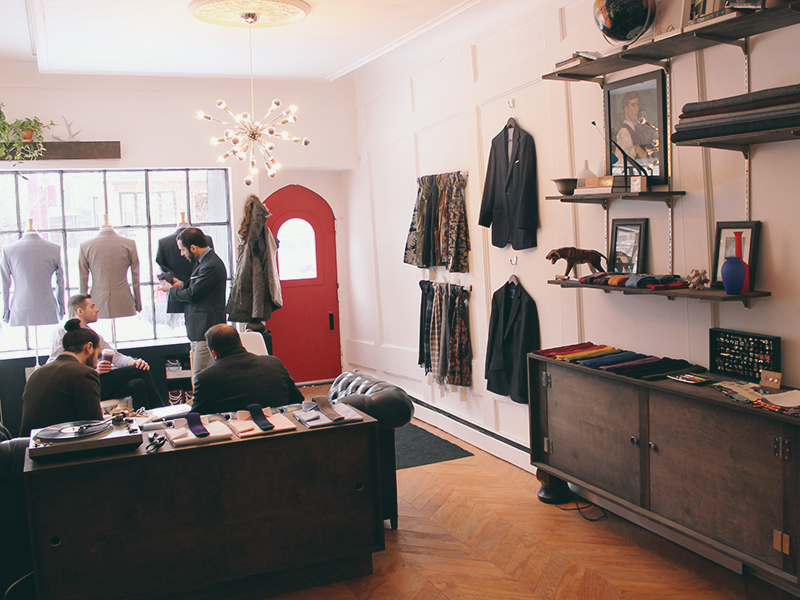 Part of the new breed of men’s shops in Buffalo to offer custom-made clothing, Bureau has managed to separate themselves from the group by offering modern designs and a truly unique shopping experience. 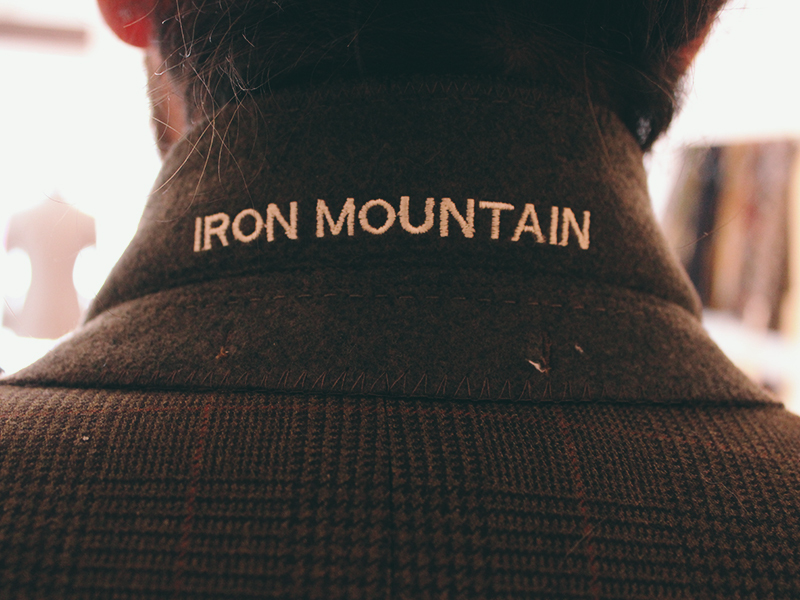 Priding themselves on the quality and design of their garments, the Dandy folks at Bureau were kind enough to speak to me about their new shop and offer some further insight into what Bureau is all about. The first thing you can’t help but notice upon entering Bureau is the size. It feels like you just walked into someone’s apartment rather than a retail shop. That, Jon Eisenberg from Bureau says, was the idea. The shop is all about creating a comfortable atmosphere and using the space to meet with clients and provide fittings rather than sell a bunch of pre-made garments off the rack. 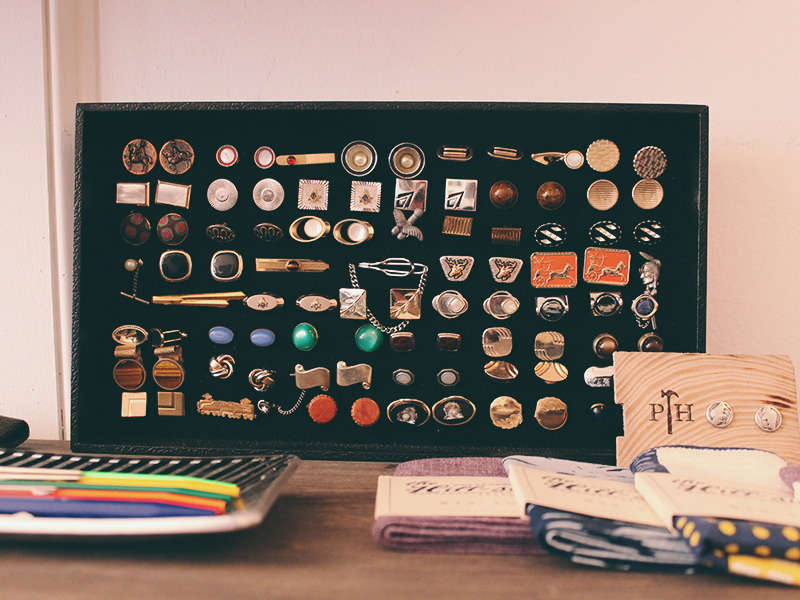 A few accoutrements are sprinkled throughout the store like knit ties, various cufflinks, scarfs and pocket squares, but nothing that really takes away from the feel of the shop. This is all perfectly paired with whatever vinyl album fits the mood during their consultation; something which only enhances the feel of the store. 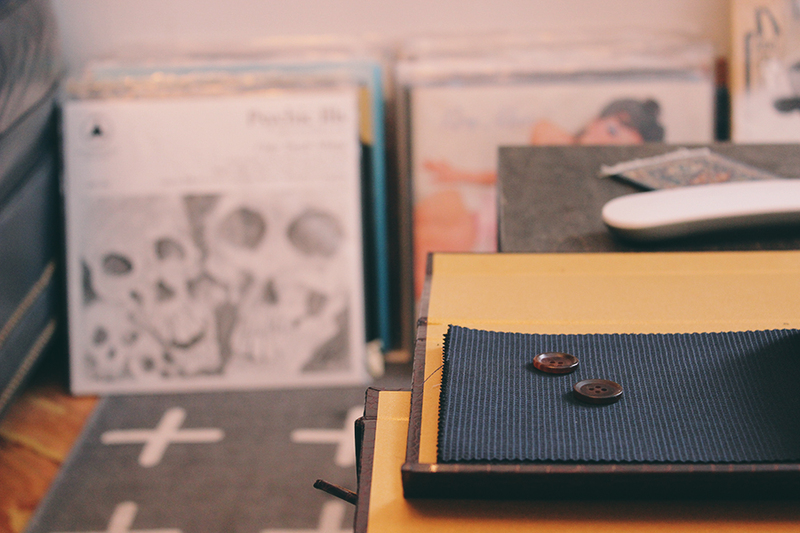 After visiting The Fine and Dandy Shop in NYC, Bureau has a very similar, albeit much less cluttered, atmosphere. It’s a place where you just want to hang out… which I love. David Mitchell, the store’s designer, is the one responsible for Bureau’s incredible look. From the photography, the stores interior, the custom furniture, it all comes together to create a cohesive, comfortable look – just like their suits. 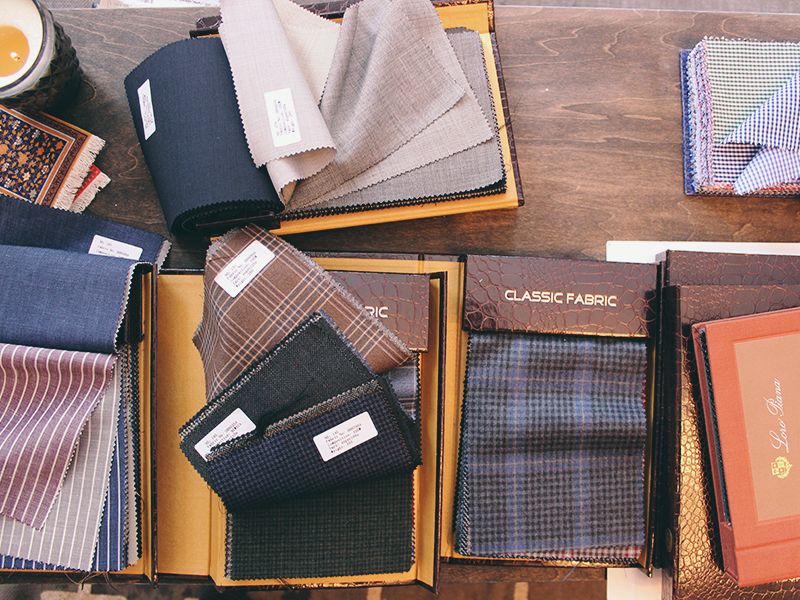 This is where suit designer Joseph Stocker comes in. Inspired by style icons like Serge Gainsbourg and David Bowie, Joseph wanted to create a look that was classic, but with a dash of rock star to it. With his keen eye for detail, modern silhouettes and fabrics from some of the finest mills in the world, he achieves this look flawlessly. You want to wear this stuff. It just looks that good. 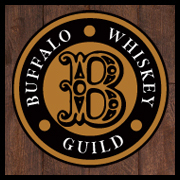 After quickly becoming friends with Jon who shared his passion for menswear, the two began discussing the idea of opening up their own shop in Buffalo. Thus Bureau was born. Since they both worked in retail, Joseph and Jon knew they wanted their store to be different from other men’s shops. Most are either too stuffy or have sales clerks that follow you around the whole time just trying to make a sale. Bureau invites you to come in, sit down, listen to some music, have a drink… They want to get to know you first, then they’ll get to work. 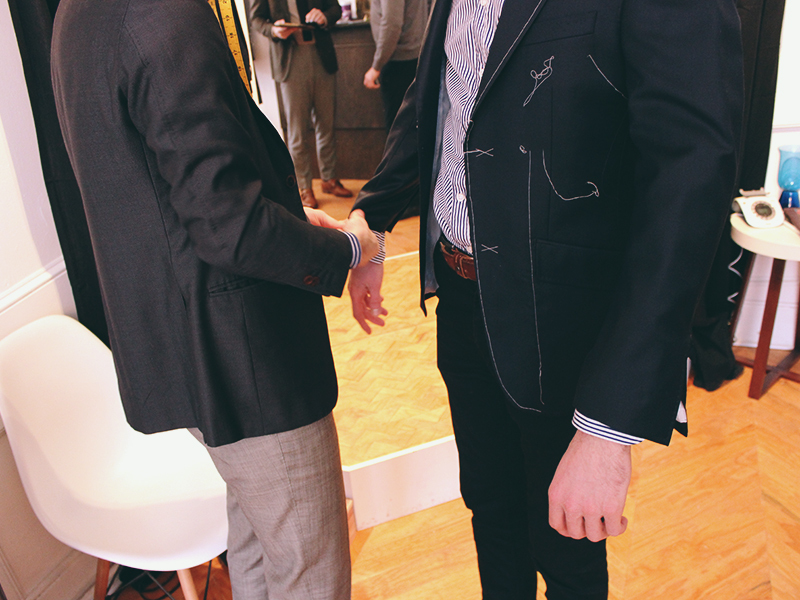 The consultation begins with meeting the client and getting a taste for what they’re looking for. 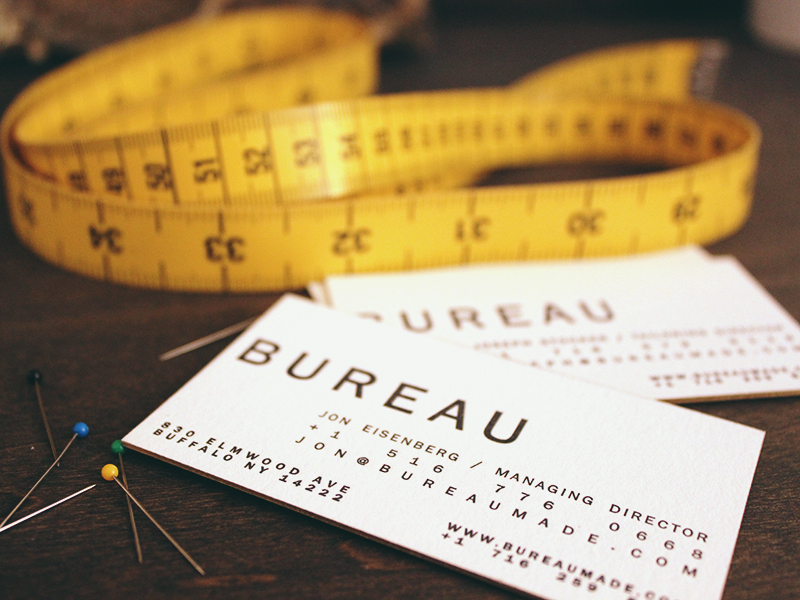 Bureau prides themselves on listening to the needs of the client and creating something which expresses his personal style, not the style of the tailor. 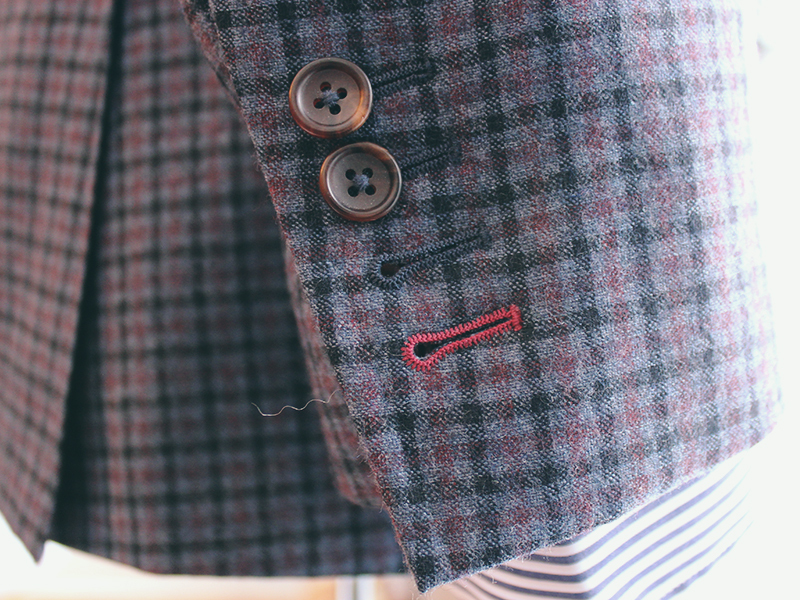 Using Bureau’s pre-existing patterns, the client chooses everything from the fabric, lining, buttons and whatever details they can dream up like custom monogramming on the lapel or contrasting button holes. 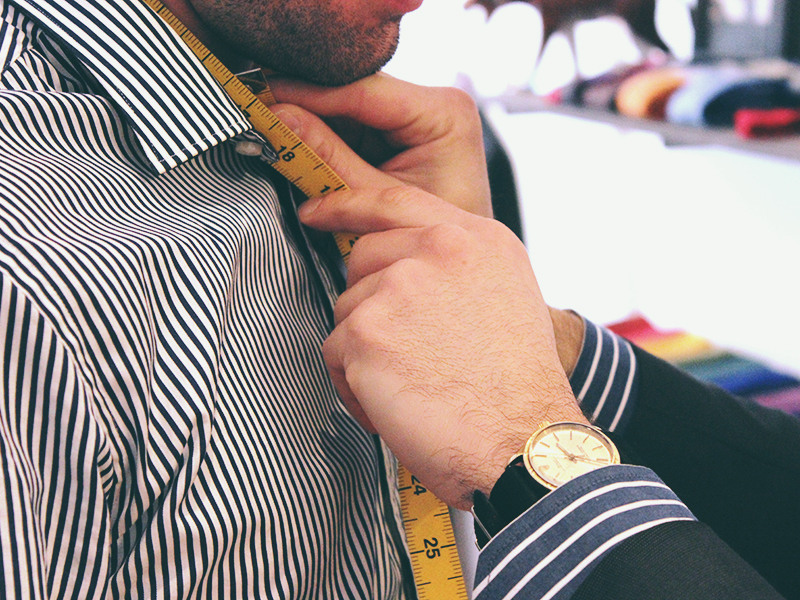 This, to clarify, is what makes Bureau a “made-to-measure” shop and not a “bespoke” service like Bloodline. It also allows for a much more affordable price point without sacrificing quality. 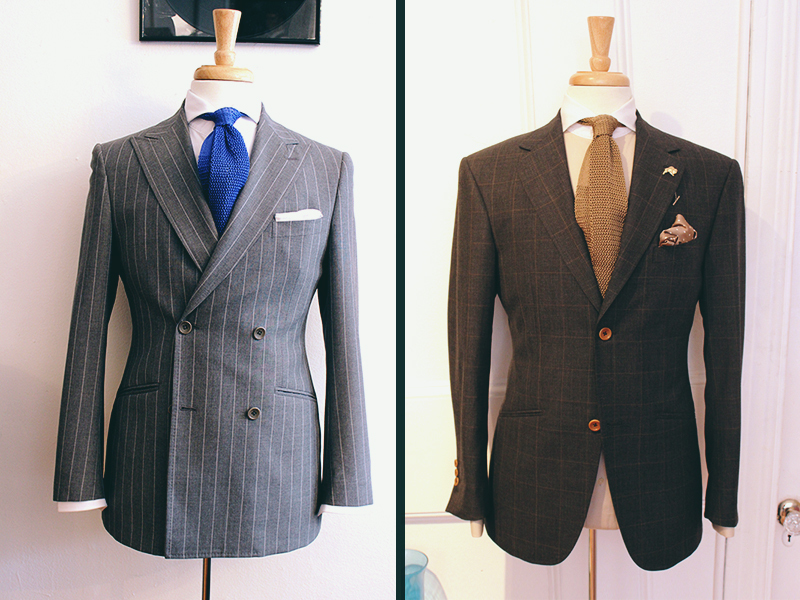 Starting at $650, you can get a custom designed suit for only slightly more than a Ludlow Suit from J.Crew ($450). But you’re saving a trip to the tailor and now own a garment that is one of a kind. 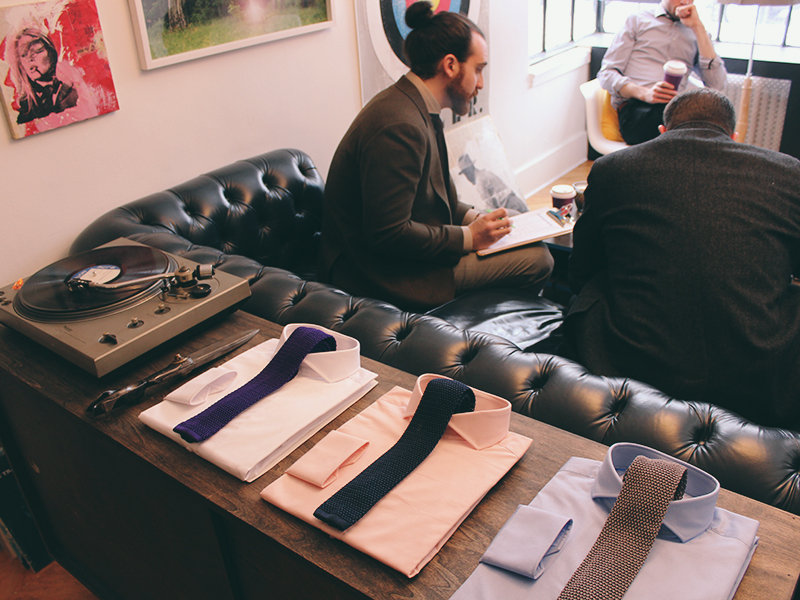 If you’re not quite ready to make the plunge into a full-blown suit, Bureau also offers custom-made shirts with pricing starting at $100, $135 and $165 respectively, depending on the fabric. This is on par with what is available online, except you’re getting to try the garment on in-house rather than hoping it fits when it arrives in the mail. Personally, I could not be more excited for Bureau. Elmwood Village is the perfect location for them and offers something I think Downtown was missing: a hip, fashion forward, affordable fine men’s shop with a casual atmosphere. 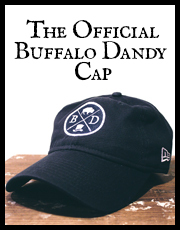 Be sure to check out their Facebook page as well as their stellar Tumblr site which offers a fantastic look at some of their garments.